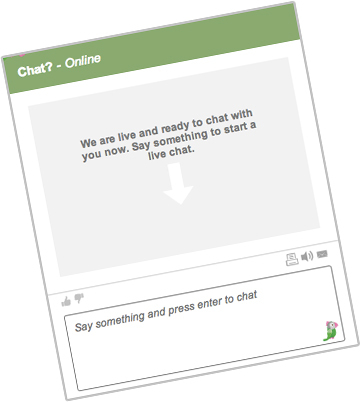 Phone calls are tiresum and an email response could take hours -- so try our live chat! We take a lot of pride in our chat staff. Every staff member that handles our chat requests are highly trained and informed about the procedure, our booking process, and capable of handling virtually any request. If you have any questions or problems using the chat feel free to also call or email us as well!